Europe is a must for anyone interested in history and culture because each country just encompasses it. Planning a trip to Europe can be extremely overwhelming, and because of this it is important to work out your must see destinations before you set off on your European adventure. If Italy isn’t on the top of that list, it should be! But keep it mind you’ll need anywhere from 10 days to two weeks to see it all. This country is flooded with beauty, culture and history which means there are plenty of places to see so here are a few of my favourite Italian destinations to get kick start the planning of your Europe tour. Due to its fascinating history and being one of Europe’s most vibrant cities, Rome is usually at the top of everyone’s list when it comes to travelling to Italy. The city is built around ancient ruins and is aesthetically beautiful. Grab a gelato and go back in time visiting the Colosseum, the Forum and the Pantheon. Make your way to the Vatican to admire its riches, take a photo on the Spanish steps and make a wish at Trevi Fountain! 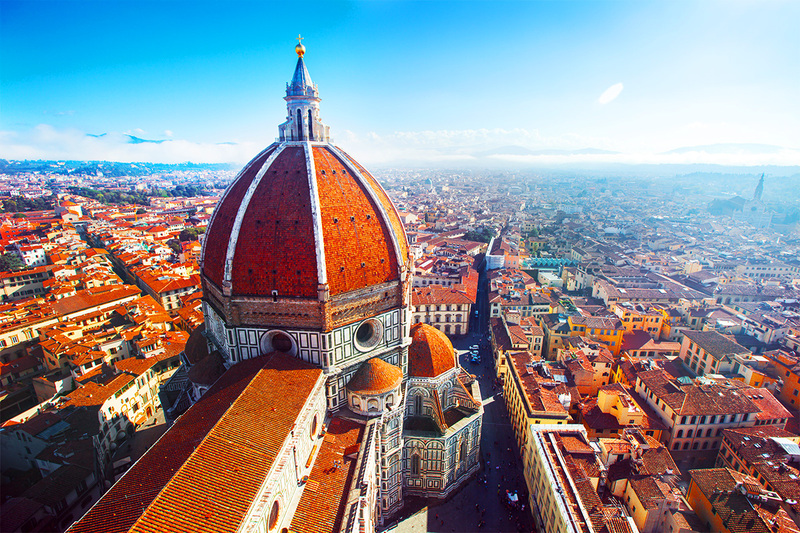 Florence is one of the most beautiful cities in all of Europe. When walking through the streets it can often feel as though you are walking through an art museum. 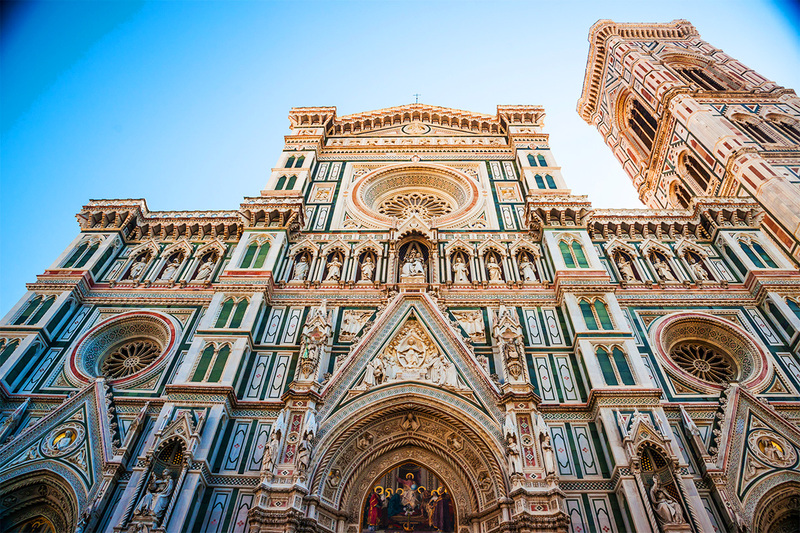 A must do in Florence is taking the time to visit the Cathedral of Santa Maria del Fiore. Here you can make you way up through the church until it brings you to the roof where you will find the best view of the city. Take a water bottle with you though as the stairs can get quite exhausting. As most of you would already know in AD 79 Mt Vesuvius erupted, leaving the Italian towns of Pompeii and Herculaneum covered in large amounts of ash and stone. Remarkably this became somewhat of a time capsule for the towns, preserving them for many years. Today you can visit this site and walk through what’s left of the ancient town. This is a phenomenal experience that I would recommend for anyone travelling to Italy. Sorrento is a gorgeous town just south of Naples, with cute little shops selling local produce, cobble stone streets and amazing food. Located on the cliffs overlooking the beautiful ocean, Sorrento is the perfect place to base yourself if you want to explore the south of Italy. It’s quite easy to get to Pompeii, the Amalfi Coast and the Isle of Capri from here as there are a range of day tours and public transport available. 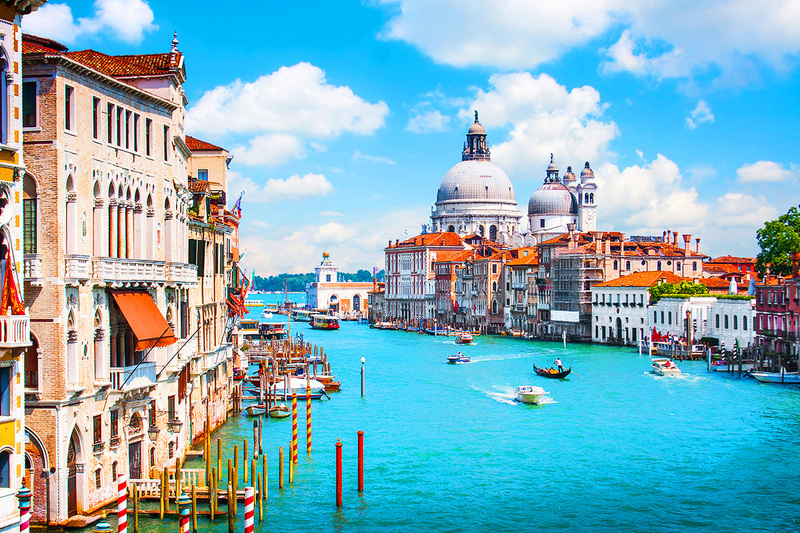 Possibly one of the most magical cities in all of Europe, Venice is an absolute must for anyone travelling to Italy. With water for roads and boats for cars, it’s somewhere you just can’t imagine until to you see it with your own eyes. Do yourself a favour and go on a walking tour to get your bearings and learn a little bit about the history of the area. After that enjoy the food, the shopping and all Venice has to offer! I know it can be quite difficult planning a trip that incorporates so much travel, and sometimes it’s easier and more financially beneficial to book a tour. There are some great Europe tours out there that include all of the destinations I have mentioned above, so do your research and work out what’s best for you! What is your favourite place in Italy? Let me know below or contact me!